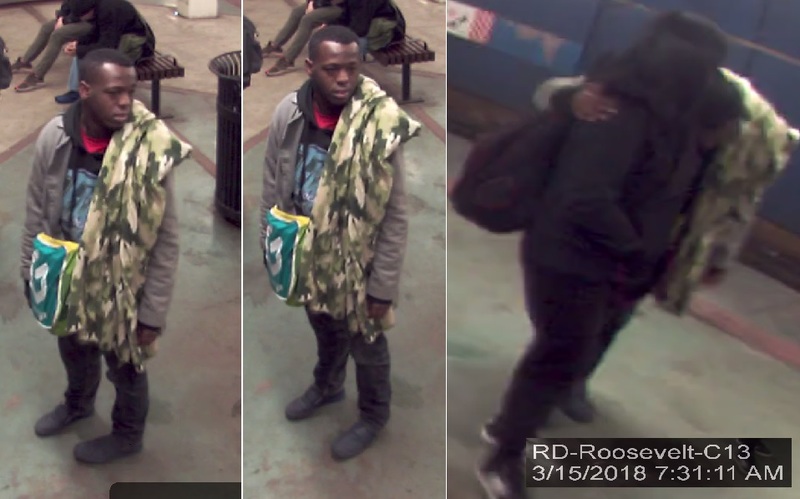 Chicago police are trying to track down a man who has repeatedly grabbed and held women on the Red Line, according to a new community alert. Ten women and girls have reported being grabbed by the man between August 23 and yesterday. All of the incidents have occurred on the Red Line between Clark/Division and Cermak, police said. Around 7:25 on Thursday morning, a 15-year-old girl was on her way to school when the offender wrapped his arms around her and held her at the Roosevelt Red Line station, the alert said. After holding the girl for several seconds, the man released her and walked away. Nine similar incidents are part of the pattern. Police said the man is black, 20- to 35-years-old, and 5’1” to 5’8” tall. He was wearing a black hat and a black or gray jacket during Thursday’s incident, police said. The alert asks anyone who recognizes the suspect seen here to call 911 with information. Information may also be called into Area Central Detective Mansell at (312) 747-8380.